1. A mid-century coffee table with a second tier for fancy coffee table books and a drawer to hide all your junk when company comes over. 2. A panda sleeping pack for a hit of moisture right before bed — it'll make your skin as a silky as a panda's fur coat. 3. A vintage-style, tufted couch to make your tiny apartment feel fancy as hell. 4. A cold-shoulder top for looking cute and casual. This comes from Walmart's new line, Terra Sky. Check out our post about Walmart's new clothing lines. 5. A fancy decorative pillow you'll never knot enjoy looking at. 6. A charming, 16-piece dish set for when you want to fill your whole cabinet in one go. Check out a full list of Walmart's best dishes. 7. A sparkly ear jacket to keep your ears warm because it's not spring just yet (JK, they just look cute). 8. A prep set with a measuring cup and bowls that look like you could have gotten them from a little shop in the countryside. 9. A rustic slate cheese board you can personalize — everyone will think you have gouda taste when you break it out. 10. A boatneck tee with three-quarter sleeves you'll want the world to ~sea~ you in. 11. A fuzzy cube to convince your friends you're actually a successful Yeti hunter. 12. A Himalayan salt lamp for feeling like a wellness guru without actually putting in any work. 13. A one-piece bathing suit with a mesh panel so you can really stand out this summer. 14. A Dr. Seuss coloring book you can color in a box, you can color with a fox. The paperback comes with 80 colorable pages. 15. A classic Smeg kettle so you can stop microwaving water for tea, you weirdo. 16. 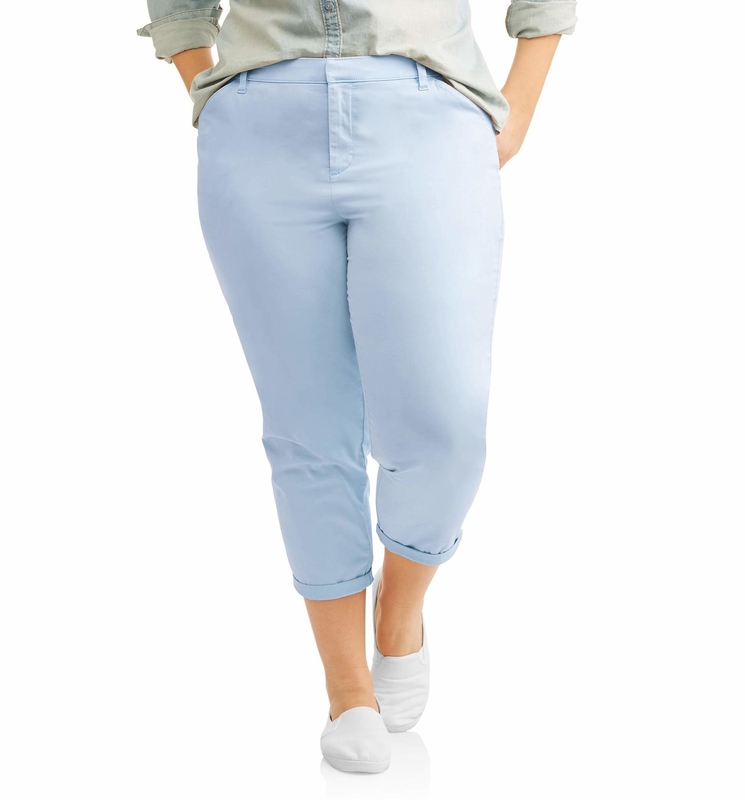 A pair of pastel chino pants, because you have spring fever and no amount of snow is going to stop it. 17. A rotating pizza oven that will have everyone's heads turning. It also cooks quesadillas, fish fillets, chicken nuggets, or anything else you want evenly cooked. 18. A tufted armchair you can lounge in while reflecting on how much money you've saved. 19. A hooded onesie that will make your kid look dino-mite. 20. A polka-dot butter dish with a butterfly on top. Get it? Butterfly? 21. A modern coffee table sophisticated enough to even impress your parents. 22. A U-back bra that looks like it could have come from a high-end lingerie store. 23. A clear dog umbrella so your pup won't get their freshly groomed coat wet. 24. A gold-finish bookshelf to give your beloved tomes the elegant display they deserve. 25. A pair of joggers for feeling comfortable while you're working out for your next marathon, whether it be running or Netflix. 26. A variety pack of face masks to use on stressful days when you want a fancy spa day at home. 27. A pair of capris with an embroidered cuff that really rose to the occasion. 28. A glowing Pikachu that lights the way, no HM05 needed. It comes with batteries and shuts off automatically after 10 minutes. 29. A lightweight sweater perfect for transitioning into spring and a new, "I have access to a boat" look. 30. A patriotic bikini top you'll be starry-eyed over. 31. A pair of mules you can just throw on in the morning while still looking put together. 32. A teal-striped blanket, so you can feel like you're at your beach house instead of your apartment.